Happy (Inter) National Scrapbook day everyone! Winnie and Walter is collaborating with Pinkfresh Studio to celebrate (Inter) National Scrapbook Day! Celebrations means lots and lots of fun challenges and prizes. If you want all the details of the challenges, head over to Winnie & Walter Blog to read all about it. 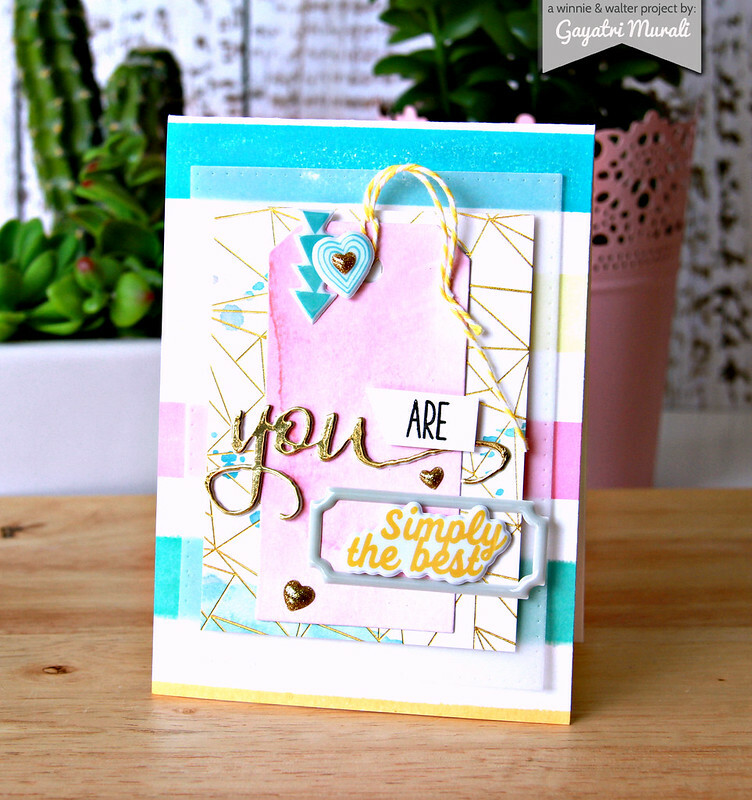 I have created a card using some super awesome Pinkfresh Studio goodies and fab Winnie & Walter products for Product Challenge: Puffy Stickers. 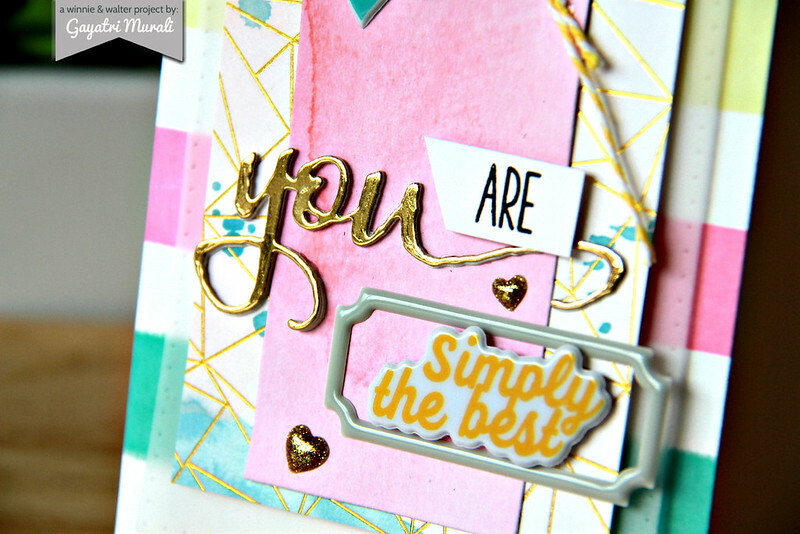 This challenge will be posted on Pinkfresh Studio Blog. I have used Scenery: Stripes stamp set from Winnie & Walter and stamped the striped background picking the colours from Pinkfresh Studio Up in the Clouds collection. I then layered the card front with a vellum cardstock die cut using Katherine Cutaways from Winnie & Walter, followed by a project life card from Up in the Clouds kit, then a tag die cut from one of the pattern papers from the kit using the tag die from Katherine Cutaway. I then used the puffy stickers from Up in the Clouds kit from Pinkfresh Studio to add the elements and sentiment on the tag. I have added diecut from The Big, the Bold and You Cutaways and stamped sentiment from My Precious stamp set to complete the puffy sticker sentiment. I also added some sparkly heart shape enamel dots and yellow baker’s twine to the tag. I love the colours and layers on this card with the puffy stickers not only adding sentiment on the card but also dimension.